If you were having coffee with me, we would have a quick chat with MJ (whom is neither Michael Jackson nor from Spiderman) and a sneak insight into the characters from her up coming book Bloodstone Book 1 The Curse of Time………. Thank you to Beaton for inviting me to guest post on his blog today. It’s a delight to be here, I have enjoyed following Beaton for a good old while and I think we seem to share a similar sense of wacky humour. 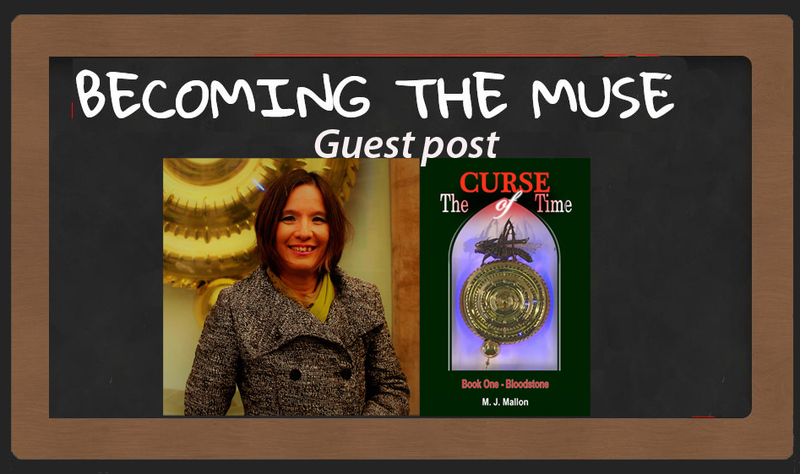 I’m delighted to share with you my novel The Curse of Time – Book 1 – Bloodstone a YA/middle grade fantasy set in Cambridge, UK. If I was to pick a character or two that Beaton would enjoy I’d guess I’d start with Ryder my male protagonist, a narcissistic fellow who prefers to hang about in the shadows. He’s charismatic, beguiling, a curious young man with a mysterious side. There are several young ladies in the story who might engage his interest too: Amelina, the main character is artsy, and magical, the mirror girl Esme will pull at his heart strings. Super confident Jade, jokey Ilaria, or serious, thoughtful Joselyn could capture his heart. Don’t forget gossipy Aunt Karissa who will undoubtedly make him laugh, as will her daft dog Toby. Surely he will love the sleek black cat character: Shadow? I expect he will be intrigued by The Grasshopper of the Chronopage? There are a whole bunch of characters in The Curse of Time – I love them all and hope you will too. Thank you Mable, how lovely, enjoy! it tickles the curiosity bug doesnt it? Thanks B for introducing MJ to me. Her characters are so fascinating I can’t wait to see how their stories are all interwoven.